Studies show that 80% of prospective customers decide whether to do business with you largely based on what they see on social media regarding your work community, thought leadership, and influence. This finding highlights the importance of social selling and the need for a strong social presence that not only loyally represents your brand, but adds value to your customer’s feed as well. 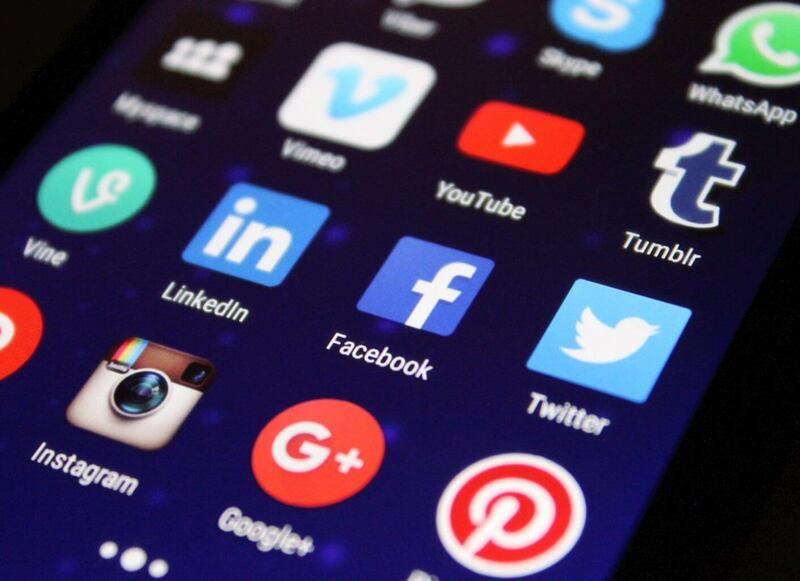 In today’s over-connected world of social media, sales opportunities come from every angle; whether it be through Linkedin, Instagram, Facebook, or any other social platform. 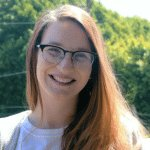 It’s more important than ever to stay on top of these inbound opportunities as well as nurture your existing social network. According to Dynamics 365 CRM MVP Rick McCutcheon, brands need to engage in social selling in ways that cut through the din of overly aggressive sales tactics while communicating effectively with their audience. In Rick’s recent discussion with CRM Rocks host Markus Erlandsson, Rick dives into best practices on how to participate in social selling while building your social ecosystem. Whether you like it or not, social media is an integral part of day-to-day life — even if you choose not to participate in it. Many social platforms, including Facebook and Google, will create a business page on your behalf if you opt out on the opportunity to do so yourself. This is obviously less than ideal because you essentially forfeit control over your social identity by choosing not to own it. Reviews can also make or break a prospect’s decision to do business with you. Negative reviews are like weeds that reduce the value of your carefully cultivated social presence. Good reviews can earn a customer’s trust and make them feel confident in purchasing your product or service. Building a network of like-minded people with similar careers, interests, or goals is pivotal for establishing a successful social presence. Remember — it’s okay to be particular when deciding whether to accept or deny someone’s invitation to connect. You don’t want to bog down your network with cold contacts who will not engage with your meticulously produced content. Instead, target people who are more likely to share your posts and attract more eyes to your page. Once you identify the who’s who on a given platform, it’s important to amplify their posts or social updates, as well. For example: if one of your key connections on Linkedin gets a promotion, feel free to congratulate them and give them a thumbs up! If someone posts a thoughtful article that you found value in, amplify their message by sharing it on your own page. The relationship between business and technology was once primarily based on driving more revenue, faster. Nowadays, it’s all about how to engage with your customers and key players on a more meaningful level, to scale. Due to the pivot from traditional, sales-focused business models to a person-to-person (P2P) approach, CRMs have finally established their niche in the world of social selling. After all, you’ll need a succinct way to manage all of the conversations and leads you to gain via your social footprint. Originally viewed as a means solely to manage sales and contacts, CRMs have become indispensable instruments for managing relationships with not only customers and potential leads, but also with your supply chain, resellers, or people who refer you business regularly. Social selling is comprised of a delicate balance of strategic promotional methods and engaging with the right people at the right time. Building your social footprint alongside your budding network is pivotal for success. The end-goal of this strategy is to present yourself as not just a salesperson — but also as a trusted thought leader possessing rightfully-earned influence within your industry. 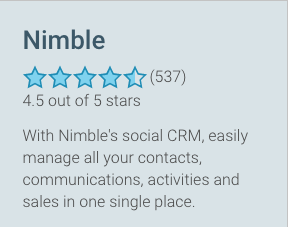 If you’re looking for a CRM tool to help you optimize your social selling try Nimble’s 14-day free trial.